We offer a range of standard specification temperature and temperature/humidity test chambers in a number of sizes, from bench top to floor standing models. If the specifications below do not exactly meet your needs, or you have some other accommodations, do not hesitate to contact us to discuss possibilities. If you require more fundamental changes, such as a walk in room, special testing requirements, or extended temperature ranges/rate of change, then click here to find out more about our bespoke, built-to-order chambers. Strong performance and generous capacities make the floor-standing test chambers a solid choice for a flexible testing solution. Our bench-top test chambers provide a compact testing solution, without compromising on performance when space is an issue. Here at James Technical Services, we pride ourselves on our flexibility and nothing makes us happier than facing the challenge of creating something to fit specialised needs. We will also work with you to meet special space or configuration requirements for your custom testing equipment, such and positioning of the refrigeration plant, alternative access such as lift-off lids for crane loading or reinforced floors for heavier loads. A 1 year warranty is included. Service contracts to cover the test chamber after the warranty period expires are available on enquiry, and can be discussed with your order. We often have second hand and refurbished test chambers in stock available for sale or hire. Our inventory can vary depending on what is available, so if you are interested, we ask that you get in touch via our Contact page for more information on what is available. If you do not need a long-term solution, we have standard as well as various second hand and refurbished test chambers available for hire for a minimum period of four weeks. Equipment in stock that is available for hire can vary, so please contact us to find out what is available and to discuss rates. 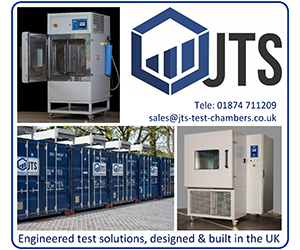 Our aim at JTS is to provide a premium service to ensure reliability and to maintain optimum performance from our chambers over their testing lifetime. Over the phone technical support. Priority support and breakdown callout scheduling. Limited and unlimited options for inclusive breakdown callouts, with usual service expenses covered. 1-2 planned maintenance visits per year for service and calibration. Service Contracts can be negotiated at any time, either when you order your test chamber or once the warranty period has expired. 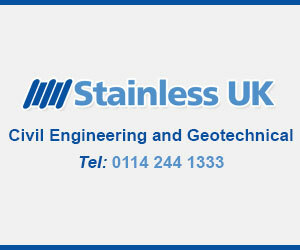 As with anything, if you would like to discuss our service contracts please get in touch via our contact page.